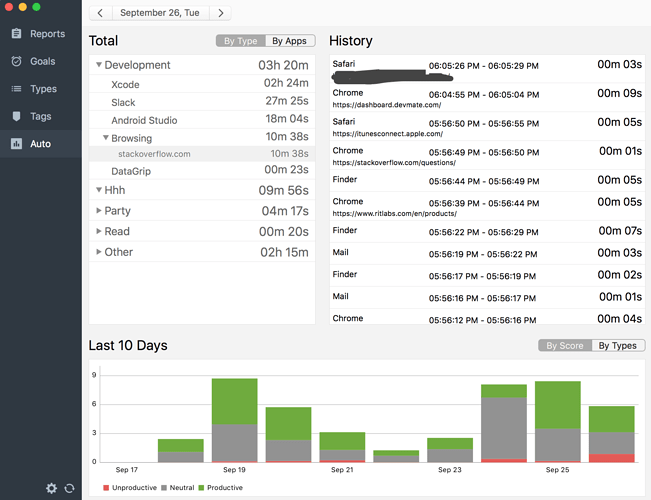 The data is not sent to our servers unlike other time you track in the app. YEEESSS!! It’s what I needed for years! 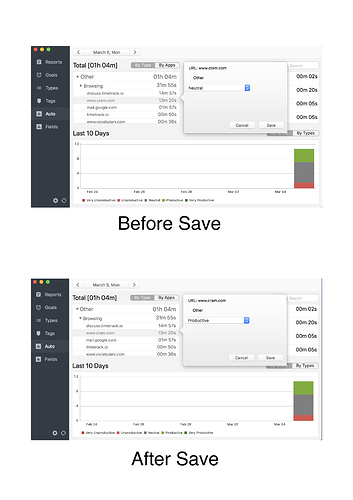 I can remove RescueTime now. Could you also track what person I was chatting with in Slack, Telegram, FB Messenger (how long was this chatroom in focus?) Is it anyway to get this information via SDK methods? Do you know any apps that support it? TAT! I just paid a one-year RescueTime premium account!!! Sad! I released POC of the feature only 1 day ago and started getting feedback already. Users like it but they also ask important questions. The most important is how to integrate it with manually tracked time when desktop activities are mapped to Types. How to display it in history? How statistics should be calculated? I don’t know the answer. I track my study time. 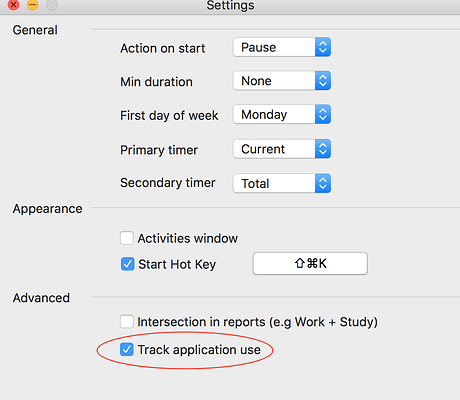 I also set “Study” activity type to XCode application, “Messaging” for Telegram app and “Surfing” for browser activities. I started “Study” activity manually and opened XCode (I’m studying iOS development). In 30 minutes I got message in Telegram and I had to reply quickly. What happens with “Study” type in this case? Does it need to be paused and resumed when user is back to XCode? 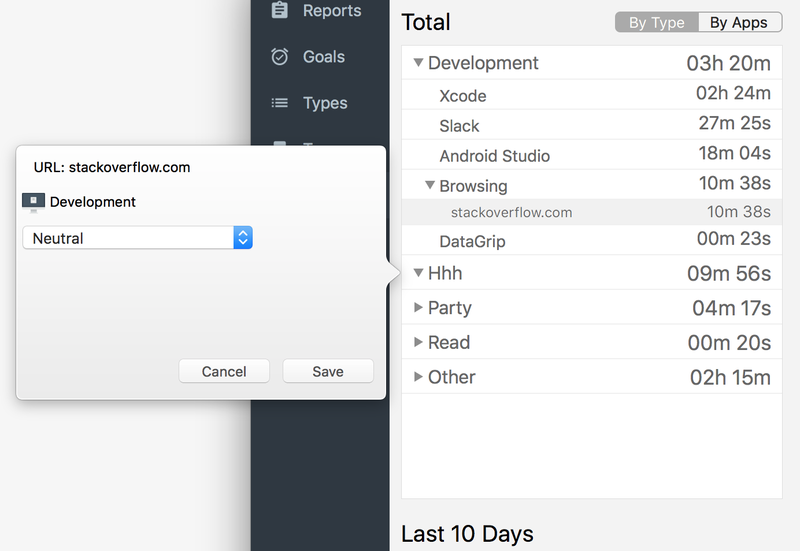 Direct mapping of desktop app activities to manual activities is bad idea in my opinion. There’re lot of data and displaying it in History is painful. That’s only idea in my mind. It’s not clear how to calculate the stats - use actual/manual study or let user choose ? I appreciate any ideas and proposals. When to support the tomato work method? 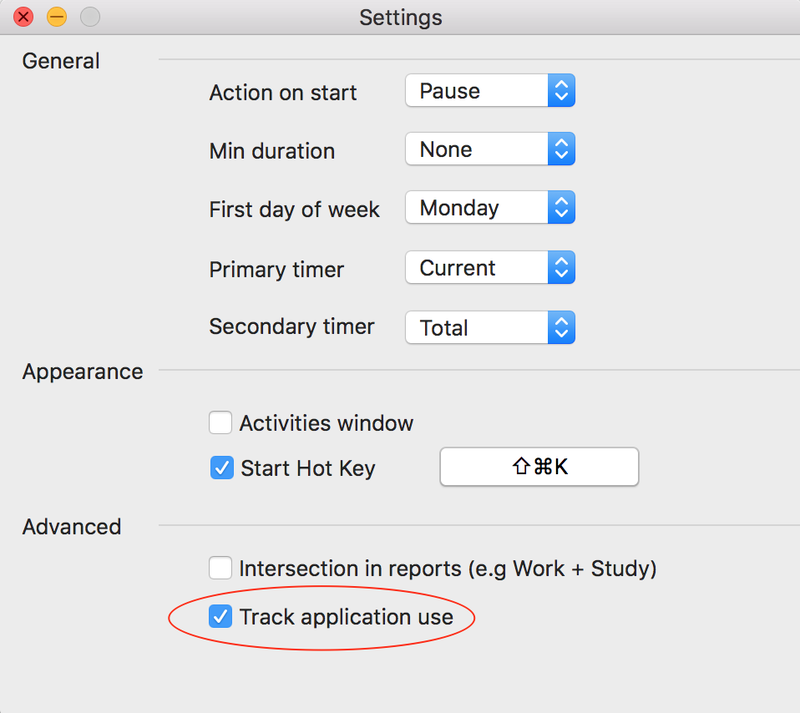 Mac app Automatic tracking is not working. When, I select operation in safari browser tacking list show in below image. Is there are bug or other problem ? So, what should I need to do ? This automatic tracking is very excellent. I love it. Thank you so much.I tried, combine a automatic tracking type and a manuel type on Desktop. And It seen activities very perfect on desktop But I don’t see desktop activities on iOS app. do you have a plan to do this.